From the North of Holland comes the new five man formation Garments. Although not that new any more, since the band is the reincarnation of Monstertux, who were steadily working their way up a few years ago. The band won the LiveXS/Dommelsch award for best indie band. According to themselves they had to reinvent themselves, explaining their radio silence. 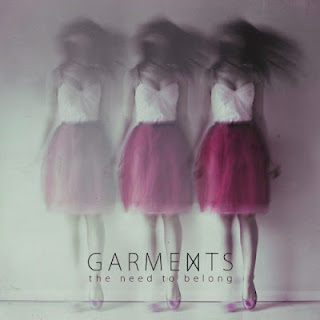 Now this results in their first album The Need To Belong. That doesn't make clear what they mean by "reinventing themselves", because there are no big differences. The line-up remained the same as well. Garments - The Need To Belong Fortunately not a lot has changed, because that also means their pleasant sound has remained the same. As they mention themselves it is a mix of Twilight Singers, Death Cab For Cutie and dEUS, where singer Sjoerd van Kammen sometimes sounds like Placebo's Brian Molko. And those influences clearly can be heard. Especially the songs that remind of dEUS stick out, like the beautiful 'This House'. Kammen is moving close to dEUS singer Tom Barman, but especially the arrangement and build up of the song are reminding of that. Several repeating melodies are dancing around each other, supported by a grooving drum. Or like in 'Fascinating Places' the whole songs keeps tension, without really climaxing. Whatever the reason for the name change has been, the five some once again prove why they were called the best indie band of our country once. And what difference does it make what they call themselves? The music still is spot on. And they are showing that again with the The Need To Belong. Listen to 'Gotten Gains' on Spotify.